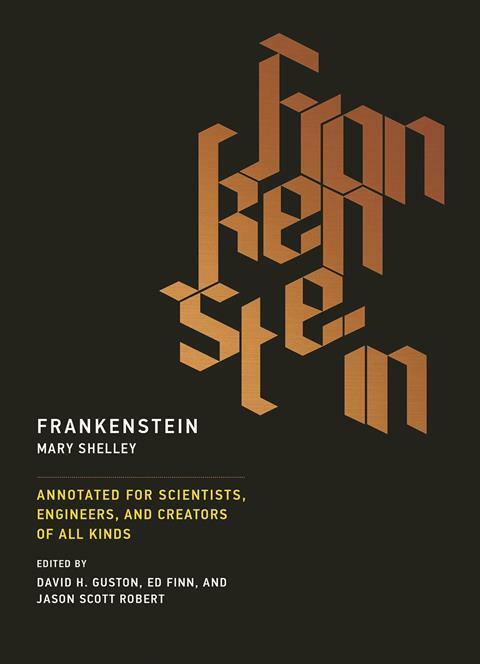 This edition of Frankenstein pairs Mary Shelley’s original and classic text with a large helping of annotations – in the form of footnotes – aimed at ‘scientists, engineers and creators of all kinds’. At first glance, it seems like a somewhat glossier version of the books you were allocated in high school, and this initial impression isn’t too far off. On some pages, the footnotes actually take up more space than the story text, which makes it feel like someone commenting over your shoulder. That being said, the insights of the various experts doing the commenting is often invaluable; providing glimpses into the inner workings of Mary Shelley’s life that enable a much deeper understanding of the novel as a whole. Despite the relevance and insightfulness of the historical and social context, the annotations do not, in my opinion, have any special relevance for scientists and engineers. A significant portion of them comment on emotion, language and historical context rather than addressing scientific points, and when scientific ethics are mentioned they seem more like common sense than an eye-opening revelation (for example, don’t create a Terminator-esque superhuman without having a good think first). The notes that did speak directly to scientists seemed to revolve around the same few topics, for example the concepts of scientific ownership and responsibility. As the book points out, these are important ideas in modern science, but the way they are discussed seems almost fearful. At one point, biologists are referred to as seeming ‘godlike in their laboratory research’. Indeed, in the introduction, the editors imply that the scientific community views Frankenstein as an anti-science creed, and implore scientists and engineers not to ‘be afraid’ of it, a notion that I’m not sure many would agree with. Overall, this edition of Frankenstein was interesting and eye-opening, but should not necessarily be targeted in the way it has been. By labelling it a special version for scientists and engineers the editors imply that there will be information that is of specific interest to this community, when in fact the majority of people with an interest in the literary history of Frankenstein, or Mary Shelley herself, would probably get something out of it. And if you have never read Frankenstein, I strongly suggest you skip straight past the introduction of this book – it spoils the plot within the first few lines.